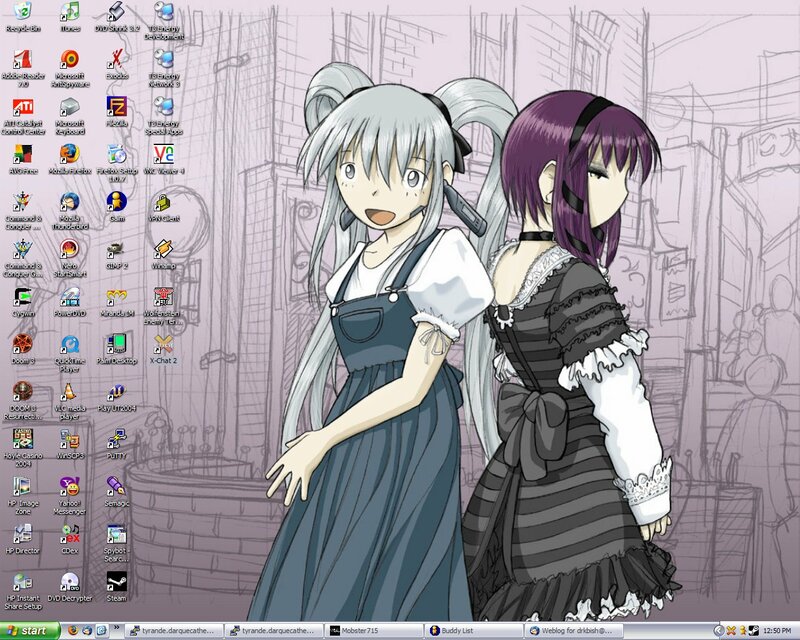 For those who don’t know, the characters are Ping and Miho from the online webcomic Megatokyo. I got this off Piro’s FredArt site; it’s the cover to volume 3. 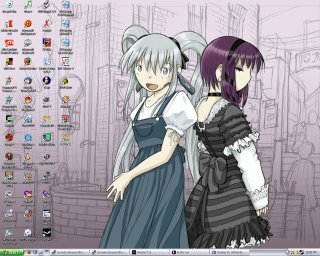 At the very least it makes a change from the Starcraft and Mortal Kombat desktops I WAS using… heh.